So, ready for yet another doubleheader? Balkh Legends and Nangarhar Leopards will come up against each other for the first match of the day. It will be the second meeting between Balkh and Nangarhar in the ongoing APL 2018. The last time they met, Balkh Legends had the last laugh as they won by 25 runs. Thus, with Balkh Legends on a roll with their current form and Nangarhar Leopards eager to make the knockout stages, the Balkh-Nangarhar encounter is expected to be a hard-fought affair. Balkh Legends have had an excellent tourney under the tutelage of Mohammad Nabi. Legends are currently at the top of the points table and many pundits also term them the favourites to win this edition of APL. Balkh Legends have had a menacing batting lineup ever since the start of the tournament. They have some T20 specialists in their camp which makes their batting lineup a threat to the opposition. Besides, Chris Gayle coming back to the form has set the tone right for Balkh ahead of the knockout stages. On the other hand, they have had a threatening bowling lineup as well. Although Balkh Legends don't possess big overseas names in their bowling department, their bowling lineup doesn't lack accountability. With plenty of options in their bowling lineup, they are surely a team to beat. Thus, with a nicely poised team balance, Legends will look to continue their winning run while maintaining their top position in the points table. 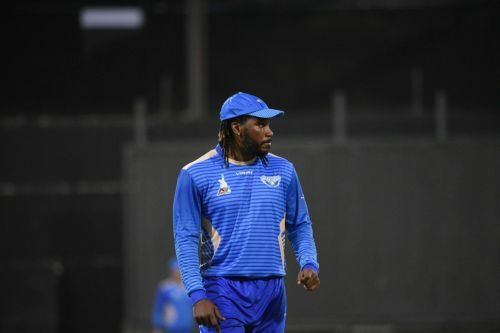 Probable Playing XI for Balkh Legends: Chris Gayle, Dilshan Munaweera, Darwish Rasooli, Ryan ten Doeschate, Mohammad Nabi (C), Gulbadin Naib, Mirwais Ashraf, Ikram Ali Khil (WK), Ben Laughlin, Qais Ahmad, and Aftab Alam. Nangarhar Leopards kicked-off their tournament with a win. However, from there on, Leopards have lacked consistency under the captaincy of Ben Cutting. Currently, the team is fighting for a place in the top half points table. Thus, the encounter against Balkh will prove to be a must-win encounter for Nangarhar Leopards if they want to qualify for the knockout stages. Although Leopards possess some of the biggest T20 names in their batting lineup, they haven't been able to excel in this particular department. Their batting has been like the two ends of a spectrum. Hence, with a lack of performances and lack of consistency, Nangarhar Leopards have had an on and off batting lineup which might fire one day and might face a severe batting collapse the other day. The same has been the case with their bowling. Despite the likes of Mujeeb Ur Rahman, Ben Cutting and Zahir Khan, Leopards have struggled to threaten opposition with their bowling. Thus, hoping for a decent overseas support and some consistency from the local players, Leopards will look to end up on the winning side to keep themselves in the contention for the knockout stages. Probable Playing XI for Nangarhar Leopards: Najeeb Tarakai, Anton Devcich, Andre Fletcher, Rahmat Shah, Shafiqullah Shafiq (WK), Hashmatullah Shahidi, Ben Cutting (C), Azmatullah Omarzai, Mujeeb Ur Rahman, Sandeep Lamichhane, and Zahir Khan. With an evenly balanced team on offer and an adequate amount of form on their side, Balkh Legends are expected to come out on top in the game between Nangarhar Leopards and Balkh Legends. Expected top performers for Balkh Legends: Chris Gayle and Dilshan Munaweera. Expected top performers for Nangarhar Leopards: Ben Cutting and Mujeeb Ur Rahman. Final Prediction: With the form and momentum on their side, Balkh Legends might virtually crush Nangarhar Leopards' semifinal hopes.